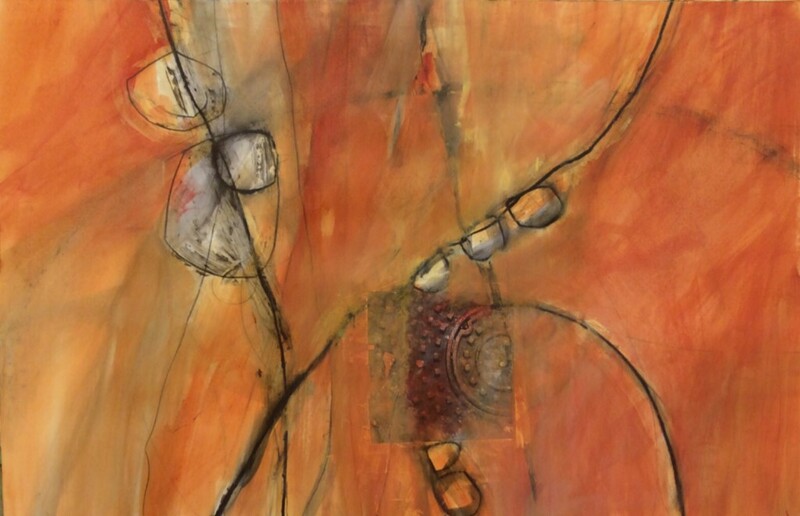 BlackRock Center for the Arts presents “Footfalls”, an exhibit by artist Michele Hoben now through December 19 in the Terrace Gallery. BlackRock hosted a reception with Hoben Saturday, Nov. 15. 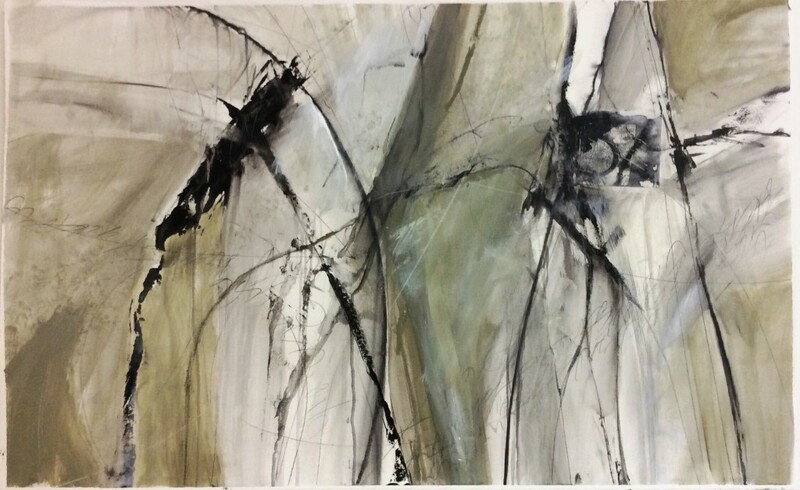 In her solo exhibition, Michele Hoben presents expressive and powerful abstract paintings from a new series exploring footfalls, the sound of footsteps, in response to the textures and patterns of ground surfaces that her own footsteps have crossed in the urban environment. Looking down as she navigates her Capitol Hill neighborhood, and near her studio in Alexandria, Hoben finds beauty in fractured concrete sidewalks, blistered paint on crosswalk lines, fissured asphalt, crumbled cobblestones and rusted steel manhole covers. Located at 12901 Town Commons Drive in Germantown, the galleries are open Monday through Friday from 10 a.m. to 5 p.m., Saturday from 10 a.m to 5 p.m. (when classes are in session) and closed on Sunday. Please call 301.528.2260 to confirm gallery open hours before you visit.